Studio-VitaFit is a dynamic sport studio that promotes a personal and professional approach to health and fitness. 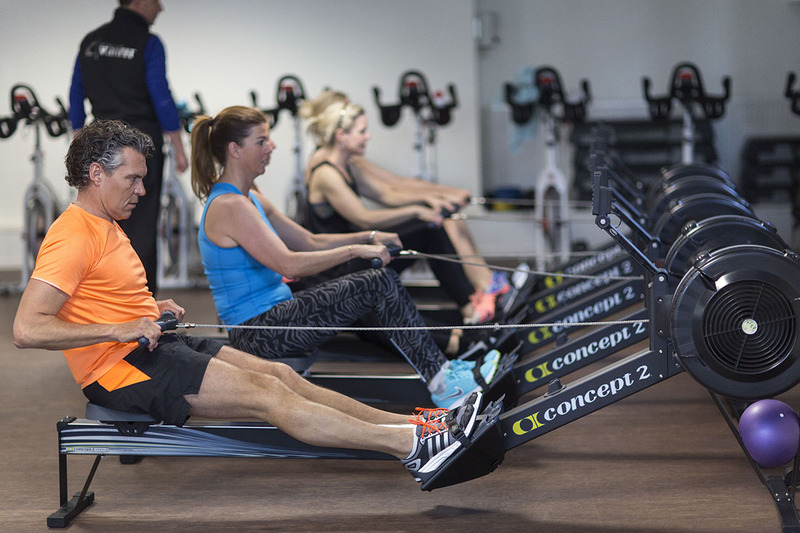 Whether you are an experienced gym goer or a complete beginner, our highly qualified team can guide and support you on your journey to optimal health. We are driven by our motto that ‘not more but smarter’ training leads to maximum results. Would you like to know more about us and our methods? Why not join one of our group lessons or register for a free one-on-one session with a personal trainer. Our enthusiastic staff would be happy to help you to achieve the healthy fit body you have always dreamed of. We will be with you every step of the way. Studio-VitaFit is different from large standard gyms in that it promotes a small scale, personal approach to health and fitness. The maximum number at all group lessons is nine and the personal training sessions are, of course, one-on-one. Our personal trainers inspire as well as coach and motivate. We emphasise a balanced development through core strength to help you achieve your own personal fitness goals. The group and personal training sessions are centred around your needs and requirements. We offer a holistic approach to health and fitness with the VitaFit Total formula. Studio-VitaFit believes that a workout can only be successful if it is geared to what your body needs at a specific time. Have you just returned from a tiring business trip? Are you stiff from having spent hours on a plane? Are you suffering from the effects of jet-lag? All these influence how your body feels and acts. Our certified trainers are able to read the signs and will adapt the training accordingly. We offer a wide range of group classes and provide personal guidance via the VitaFit Total formula. This extends from nutritional advice to creating a blueprint of your DNA and blood testing. For more detailed information, check our website or make an appointment to meet us. Studio-VitaFit is a unique health and fitness studio that is totally geared to help you achieve your individual goals.